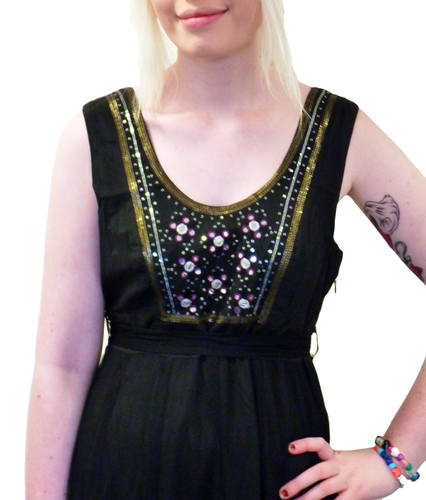 NOMADS 'HELENA' RETRO FOURTIES VINTAGE BALLERINA SEQUIN PARTY DRESS (Black). Wake up to the musings of a Midsummer Night Dream and under the light of the moon begin to dance the night away... This is the fabulously elegant 'Helena' Ballerina Sequin Party Dress by NOMADS. 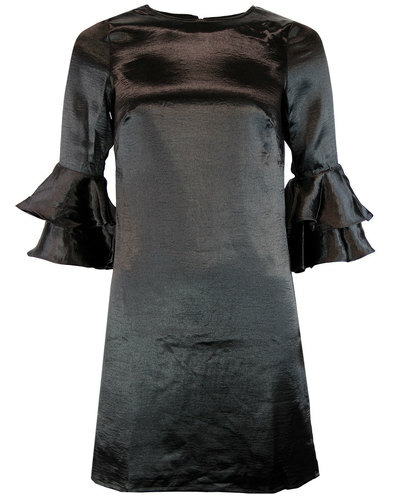 A devilish little black Retro dress with a floaty Vintage appeal and finished with Seventies Mirrorball detail. 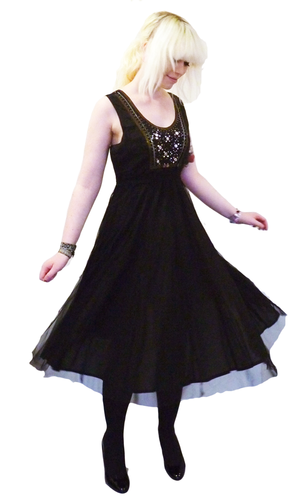 The Ballerina Sequin Party Dress by NOMADS. Layers of soft net over a shimmering viscose satin bring lightness and movement to this adorable black Retro Forties style Ballerina Party Dress. With a Vintage net sash that can be tied as desired and a top that is embellished with sparkling sequin trims, Seventies mirror applique and embroidered edging. 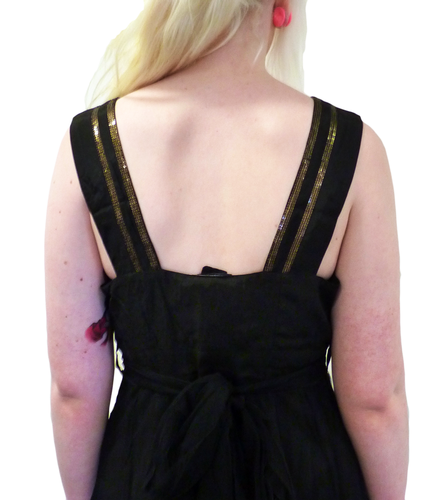 The sequin detail continues onto the sophisticated Retro shoulder straps. Side zip fasten. Layer with a stylish Vintage Sixties shrug. 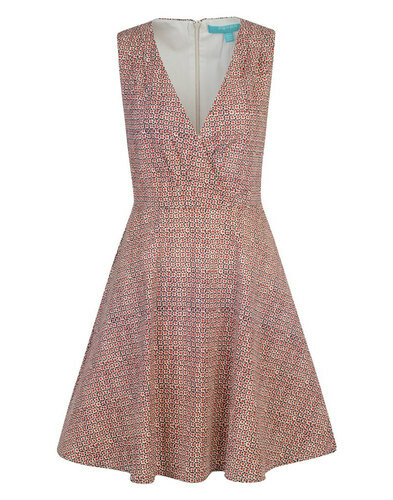 NOMADS 'HELENA' RETRO FORTIES VINTAGE SEQUIN BALLERINA PARTY DRESS. 'HELENA' RETRO FORTIES VINTAGE SEQUIN BALLERINA PARTY DRESS by NOMADS - Black Retro ballerina sequin dress by Nomads with Seventies style mirror detail. 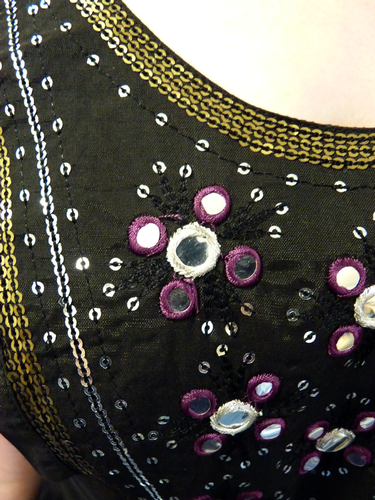 Embellishments to top and shoulder straps. The skirt features layers of soft net over viscose satin and is finished with a net sash tie. Composition: 100% Viscose (Net/Satin Viscose). SKU: ER24Blk 'Helena' NOMADS Ballerina Sequin Party Dress. 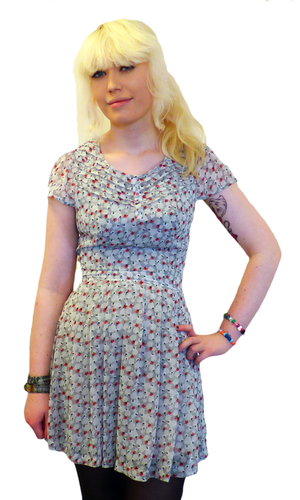 NOMADS 'Helena' Retro Forties Vintage Sequin Ballerina Party Dress. 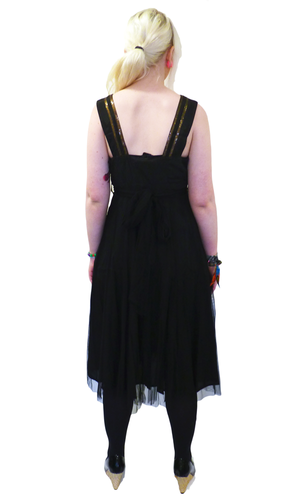 Approximately knee length, slight A line shaped dress. Choose size to fit.